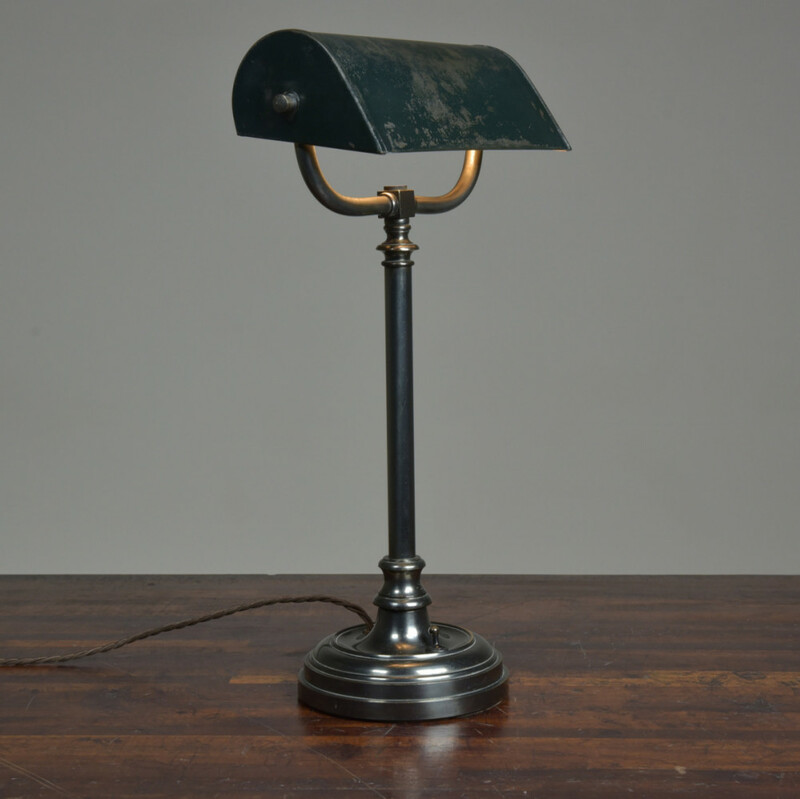 A handsome antique cast bronze/brass bankers / desk / table lamp of very good quality. English Edwardian. Complete.No missing bits. No damage. 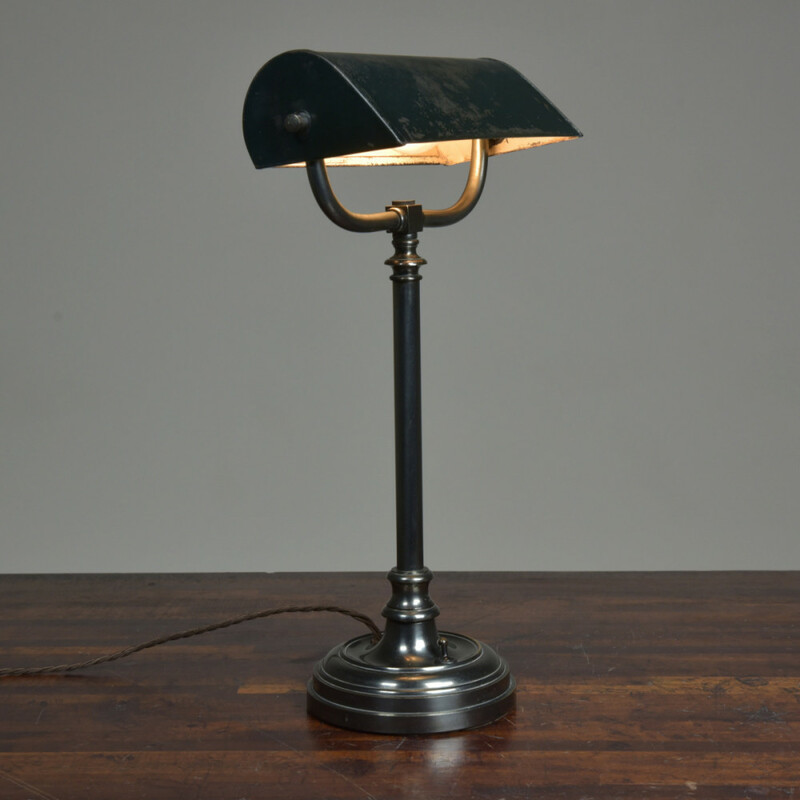 All the parts are cast brass/bronze including the base (which also has an inner cast iron weight) with a lovely gunmetal / dark nickel plating. 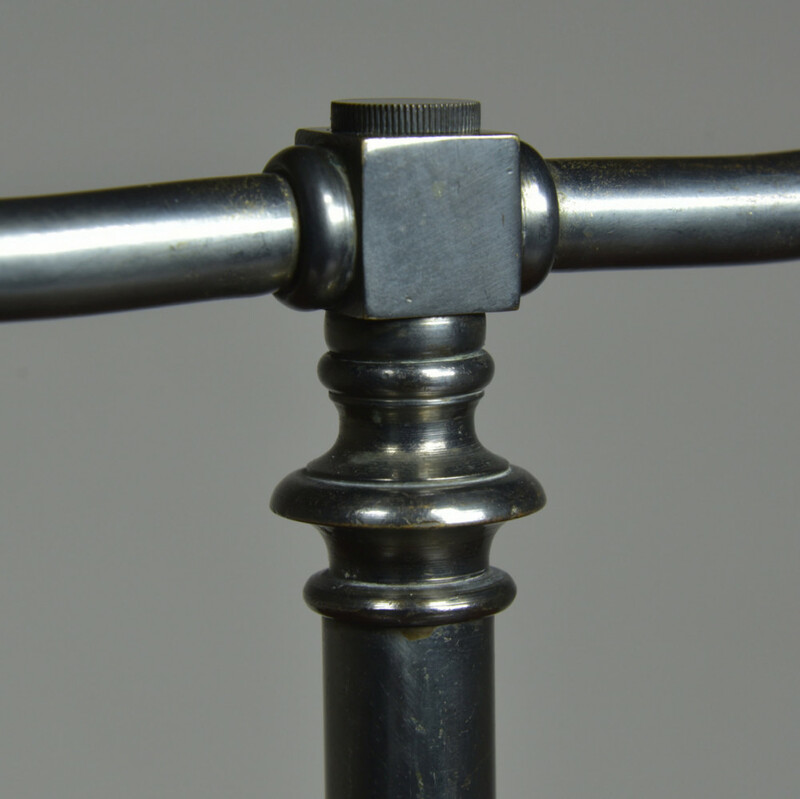 With original working heavy duty switch which gives a good solid satisfying "clunk" when switching and and off. It has been taken apart, cleaned and given a light polish. 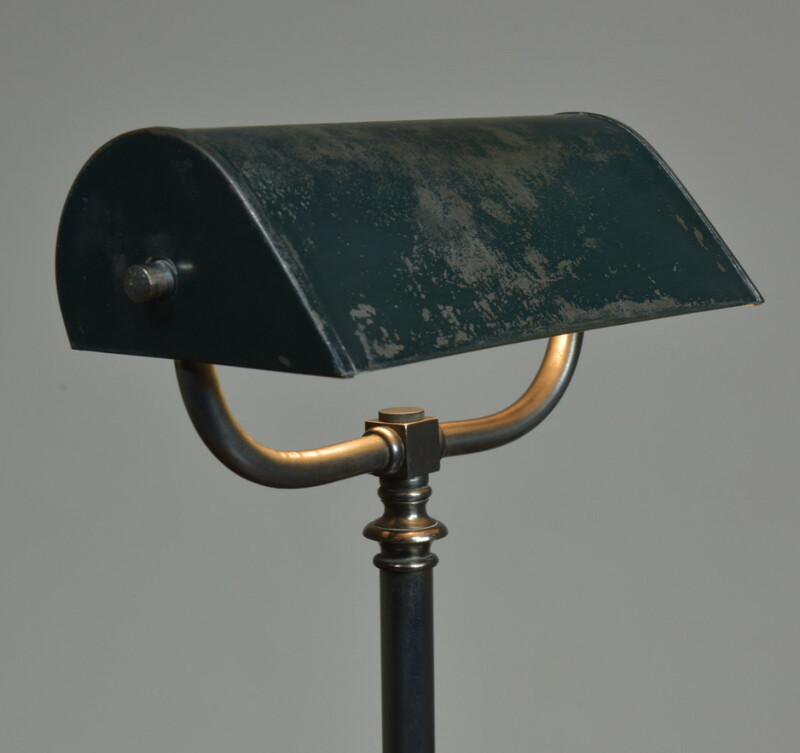 The adjustable trough shade retains its original paint on the inside. 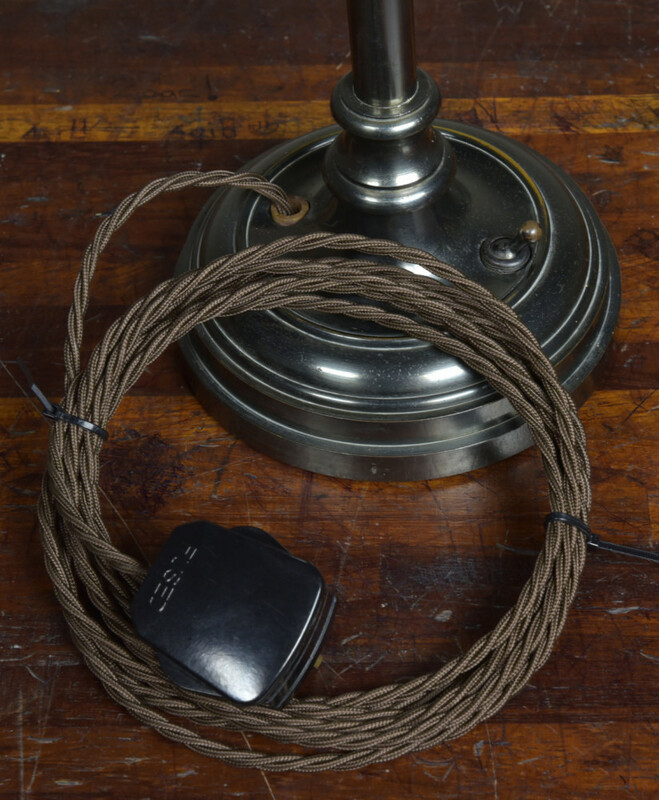 Rewired with 3 meters (exposed) dark brown fabric flex, and a hard plastic "traditional" plug. 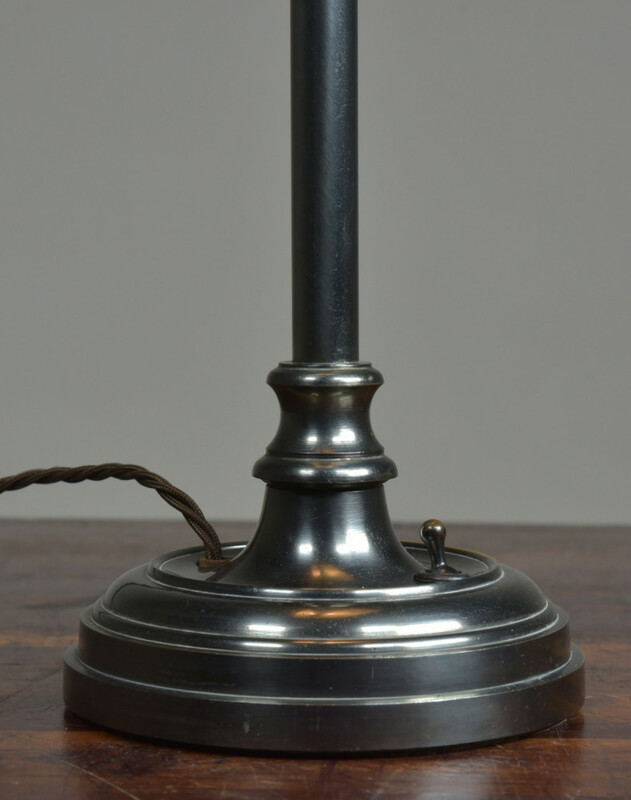 Original lampholder retained. Dimensions in inches/cms; 18.25"/46cms tall Base is 6"/15cms in diameter Trough shade is 9"/23cms wide (max width including fittings is 10"25cms) Approx 2.75kg . For more and higher res images please see my blog which can be accessed through the news section of this (haes) website.